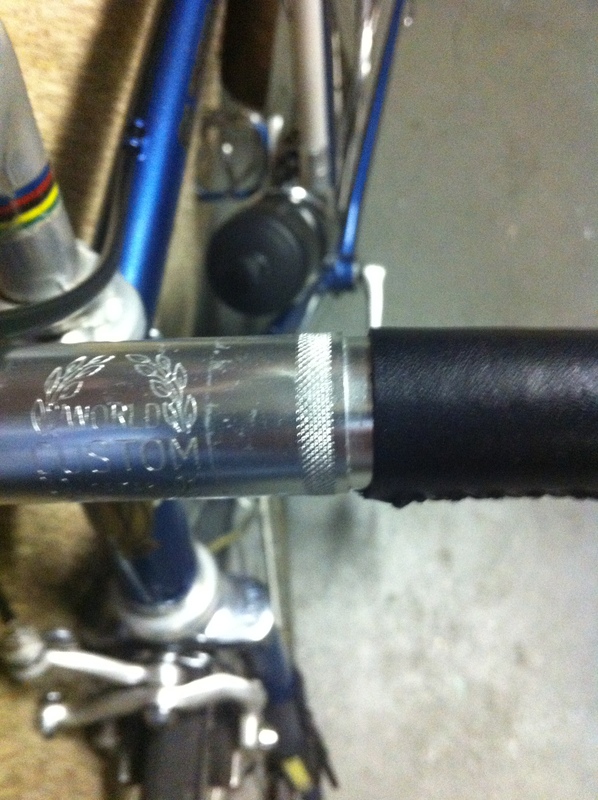 We have sewn leather onto indented areas of a bar before, such as between lugs on a top tube, and it dried into place just fine without shrinking, but 1) the leather wasn’t getting torqued and pulled by your hands as part of normal use, and 2) we kept it lax and loose during installation. The easiest answer, of course, to address such a shrinkage gap is to cover up the gap with a whip tie or electrical tape. 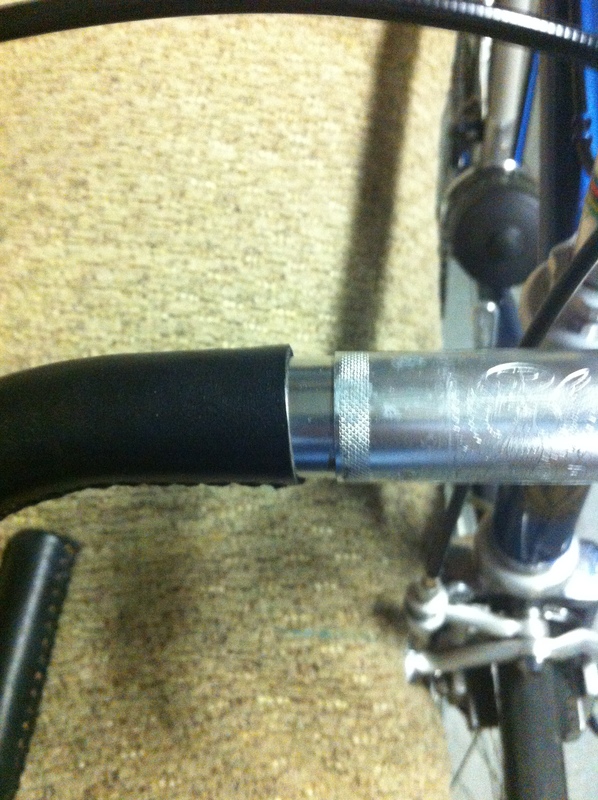 But what if you have indented bars and you really want it to stay where it’s sewed on? Although there are tips and tricks we can offer to help minimize shrinkage at the top of your bar (bullets down below), if you’re hoping to install wraps precisely flush against an indentation, then our sew-on bar wraps will be a challenge. Leather is a natural product, that’s what makes it feel so good under your hands, but it does mean that it has very unique qualities. You have to get it wet to install it, which means that it is not in its final form when it’s getting installed. Don’t pull the leather too tight during installation. The tighter you pull it down the bar, the more it will shrink. Be lax and loose. Use the double-sided tape we include on the back of the wraps, and be sure to clean the bars with alcohol to remove any grease which would prevent the tape from sticking. If you are particularly worried about holding it in place and don’t mind it being difficult to remove later, you may consider using rubber cement adjacent to the step on your handlebars. Rubber cement will help hold it in place where it was stitched on. Anchor it down at both ends with a whip tie or electrical tape. 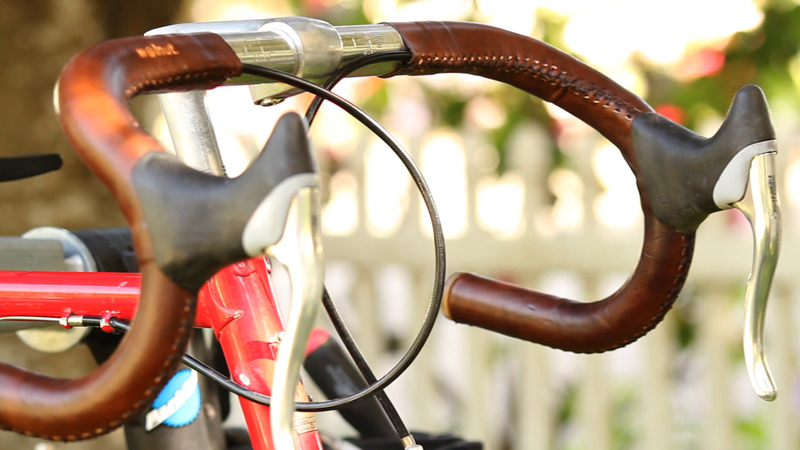 Next Post Walnut Studiolo & Portland Growler Company raffle tonight at Dig A Pony. Corner of Morison and Grand.